To turn the energies of this year to our benefit, to success and to happiness, it’s important to watch a few rules, take some precautions and be ready for changes. Prepare a sheer or blue coloured glass (any size) with 6 Pennies (or copper coins) and 1 Nickel (or any silver coloured coin), cover the coins with kosher/coarse salt, add some water and put it in the South-west of your home and office. You may hide it behind some objects, but don’t close or touch it till February 2020, as it will absorb a lot of negative energy throughout the year. Throw away the old glass of 2018 which was in the North. The South-west is also the right place to put the Zohar books in 2018. Place a plant in water or a Lucky Bamboo in a glass vase (sheer, blue, green or red coloured) with a piece of red paper (a red place mat underneath or red ribbon for example) in the South-east against legal problems. 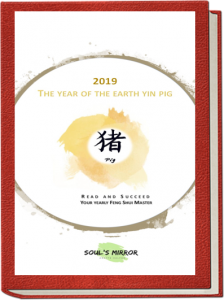 The South-east is also the right direction to place the Zohar Mishpatim (volume # 10) or a Pocket Pinhas in 2019. If there is more than one floor, do all these corrections on each floor. If your desk or your bed is in the South-west or the South-east , try to change the direction and the position. The best advice for the energies in the Southwest and the Southeast is, to avoid these specific rooms or at least keep them as quiet as possible. Against health issues: hang a Chinese Coin string in the North-east and a Kabbalistic Health Blessing. This is especially important if your bed is turning into these directions. Put any fresh plant in the North of your home/office against betrayal. Don’t start any renovations this year, which also applies to any South-west and North-west part in each room. If your entrance is towards the South-west, hang a metal wind chime there. It will be a year for you of challenges, activities, travelling and changes. 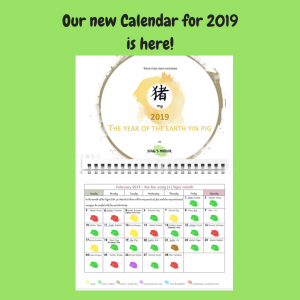 Travel a lot, but be careful, especially in the Pig and Snake months and days (see our Feng Shui Calendar). 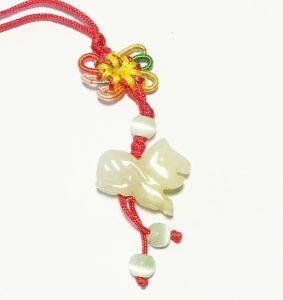 Take the traditional Chinese protection for this year: The Tiger charm. Please note that the Chinese year begins only on 4th or 5th of February. Who is born thus in January, must take the year before. If you are not sure, you may ask us anytime. We always recommend having a yearly update appointment for your home and office online or in person, to enhance the good energies and avoid dangers and problems! health, love and success in all!